HealthViva Apple Cider Vinegar is 100% Natural and unflavored. Let us see the lowest price of HealthViva Apple Cider Vinegar and compare the prices in Snapdeal, Amazon, Paytm, Flipkart and HealthKart. 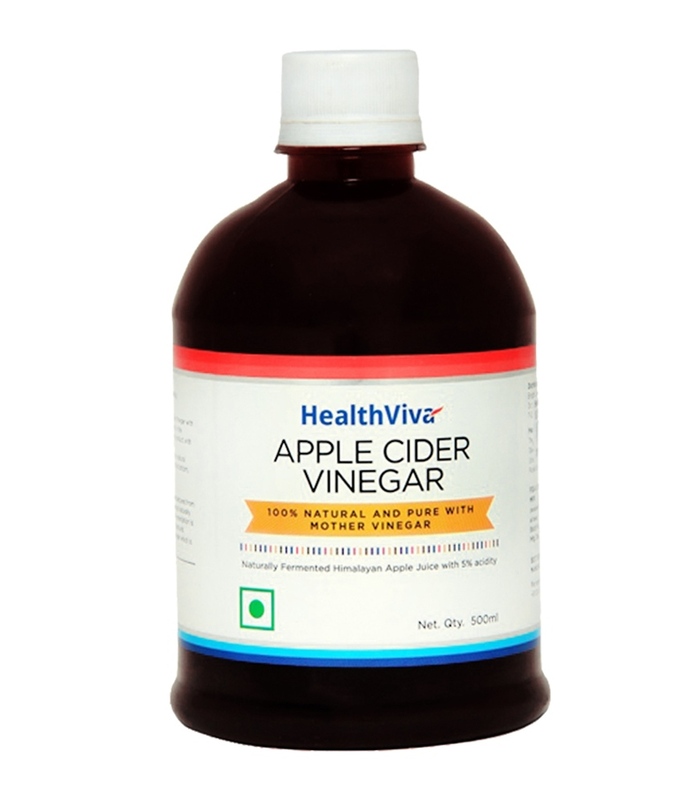 MRP of HealthViva Apple Cider Vinegar 500 ml - Rs.449. Organic, raw, unfiltered and unprocessed apple cider vinegar extracted from the finest of Himalayan apples. Murky and brown, referred to as the mother , this cobweb-like mass that settles at the bottom of the bottle is nutritious and loaded with health benefits. Spoonful of this sour-tasting liquid with high concentration of acetic acid clears your system, increases absorption of minerals and maintains overall wellness. A great way to add a dash of this goodness to your meals is by whipping some of it in your salad dressings, or drizzling over meat/fish/ steamed vegetables. What you are left with is loads of health and a bit of zing. Extra 10% cashback if you use American Express card. Extra 5% if you use HDFC Debit card. Visit the below page to check availability and current price in Amazon. Use Paytm Promo code 'PRO30' to get extra 30% cashback. COD is not available while using the promo code. It is not currently available in Flipkart.